After the Dundee store underwent a major re-fit, Ng decided it was time for change. 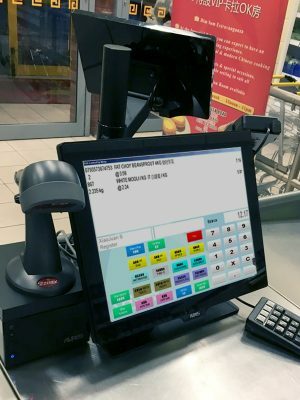 He contacted an old friend, Roddy Mackenzie of Glasgow-based ACR EPoS Systems, to see what could be done about finally integrating the IT systems across all four stores. A key requirement Ng had for the new system, Mackenzie continued, was that he wanted it to link dynamically to Sage200. Sage controlled the product database and pricing and populated the EPoS database. He wanted updates sent to all PoS units in all locations, and all transactions sent back, processed and imported into SAGE as individual sales orders, all in real time. For Ng’s part, he readily acknowledges the difference the upgraded system has made across all of his stores. “The AURES YUNOs are a great improvement on the modular Toshiba PoS terminals we had previously,” he said. “The hard drives, display and processor are all integrated into one unit which is much better aesthetically. We have them in all sites with eight units in total installed.